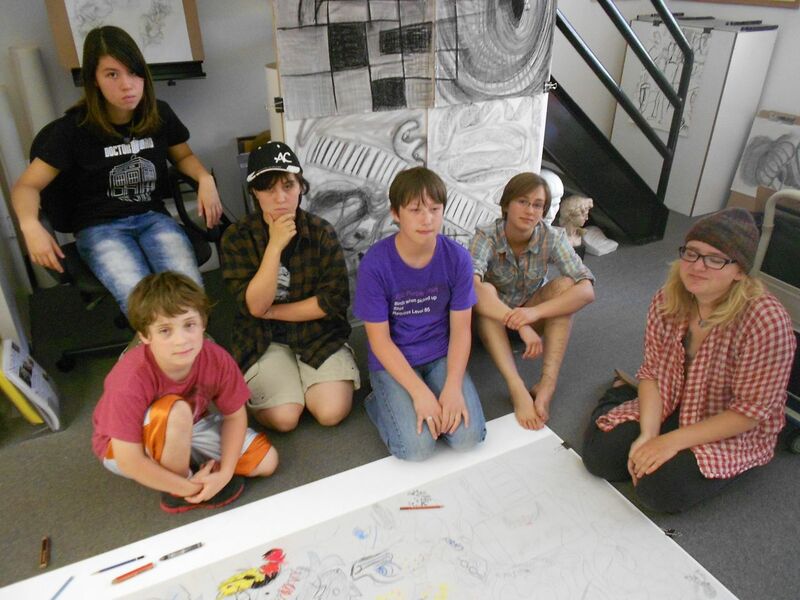 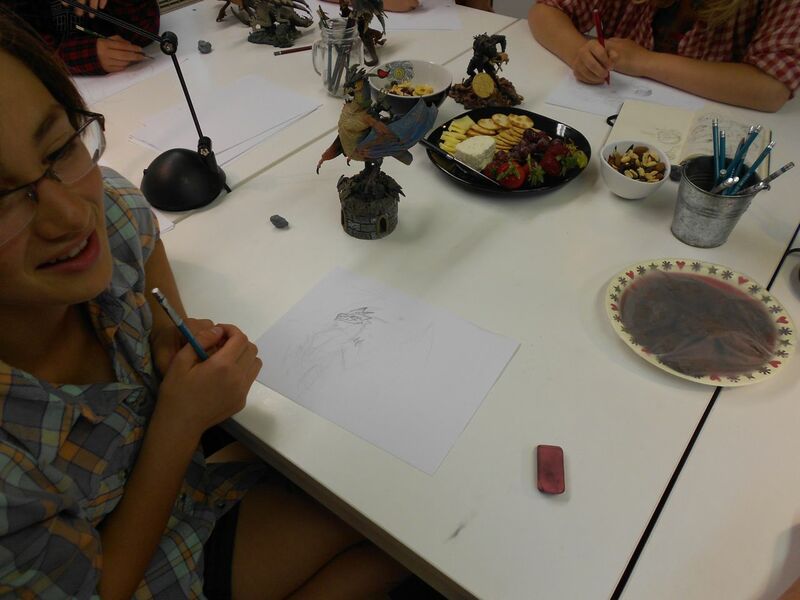 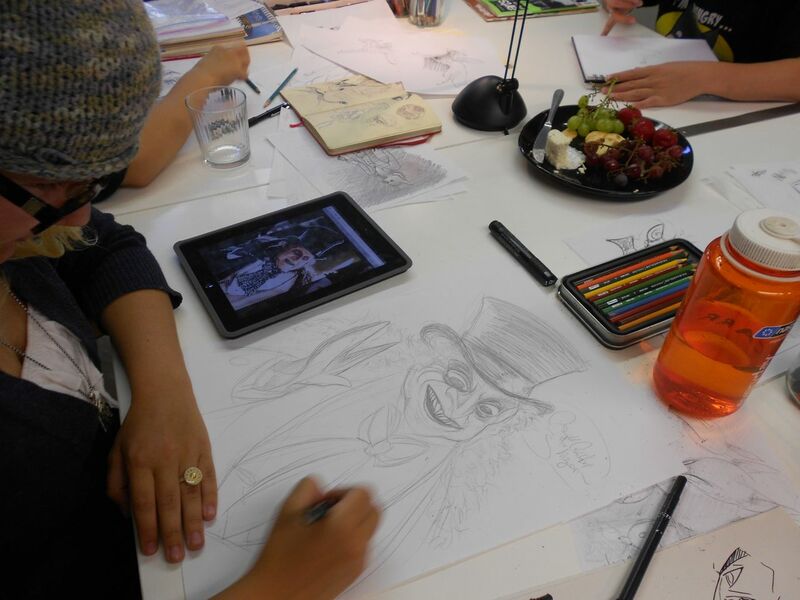 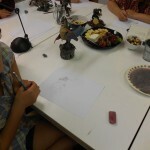 After spending time building observational drawing skills in previous sessions, everyone was up for a fun summer session of character design sketching. While working from their sketchbooks and online references, the SI studio crew went right to work–if one can call it work. 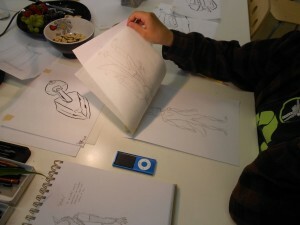 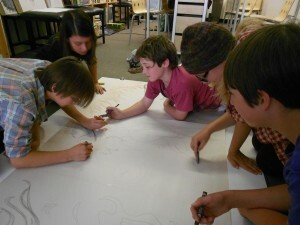 Afterall, drawing characters from their imagination is what these kids love to do. 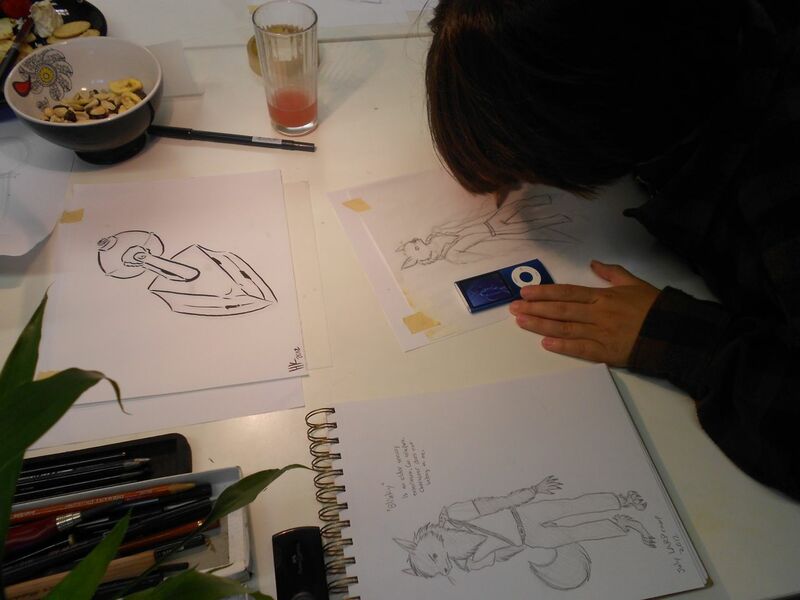 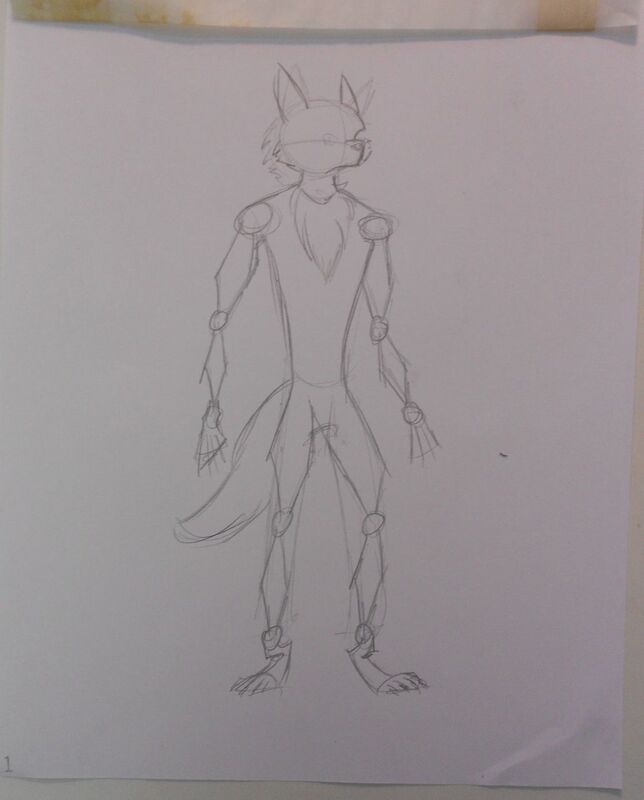 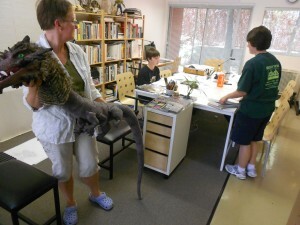 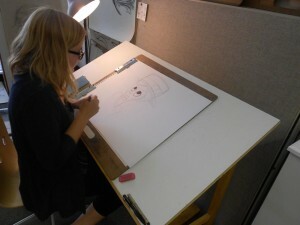 Rena (above photo) busts out a sketch of a very famous, villainous comic character. Below are highlights from the classes. 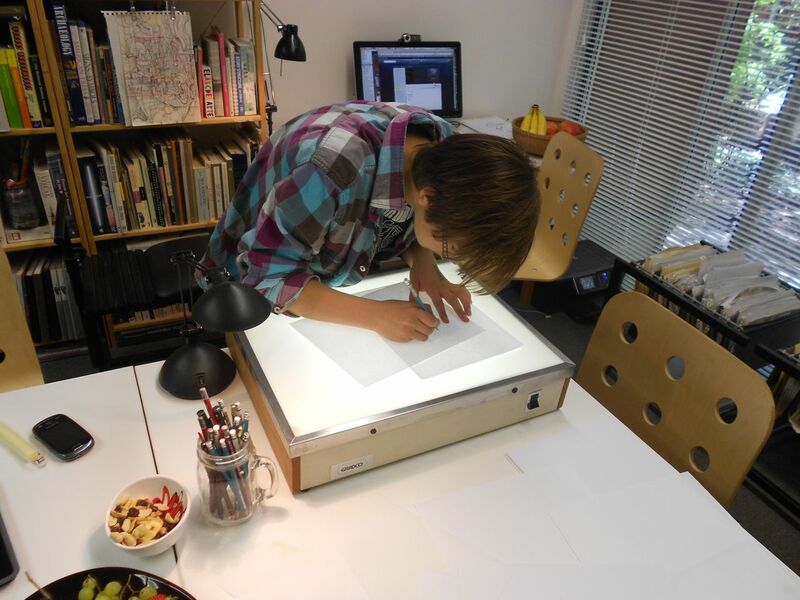 Megan explored a variety of techniques and studies, including using the light table (shown above), to bring a character that she designed to life. 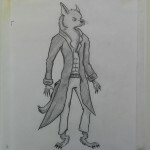 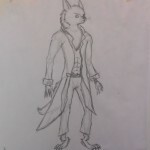 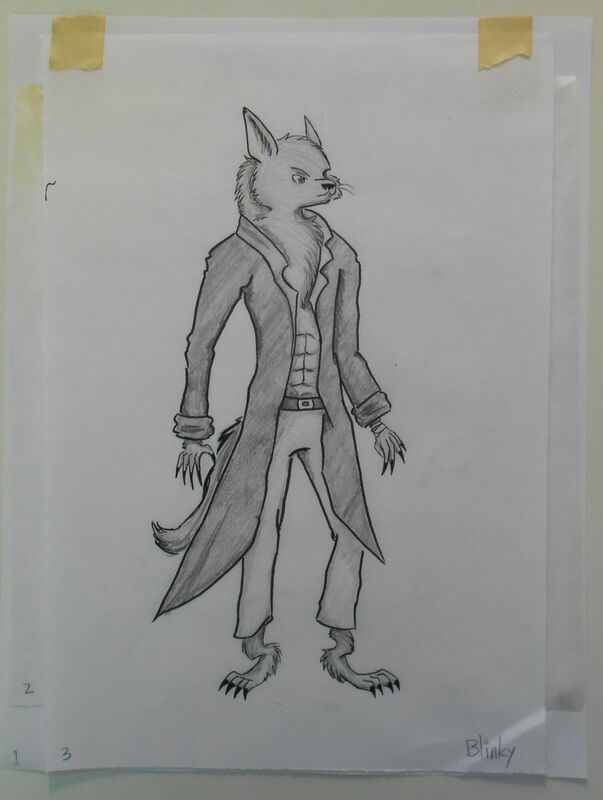 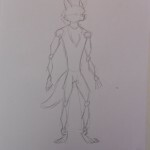 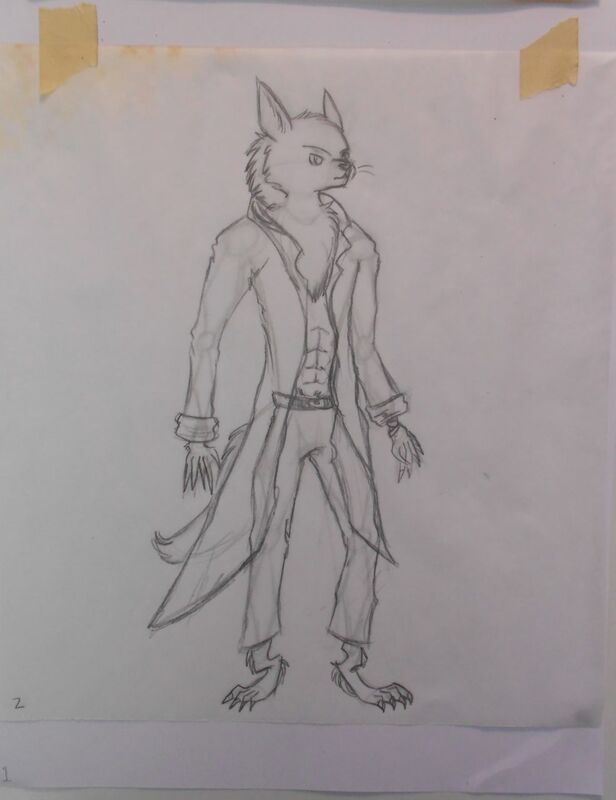 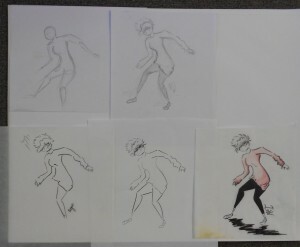 Rena continued to refine her unique drawing style as she went big with her character studies. Helen, shown above, learns to use tracing paper and layout paper to make progressive studies of her character. 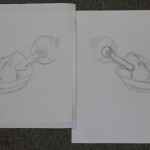 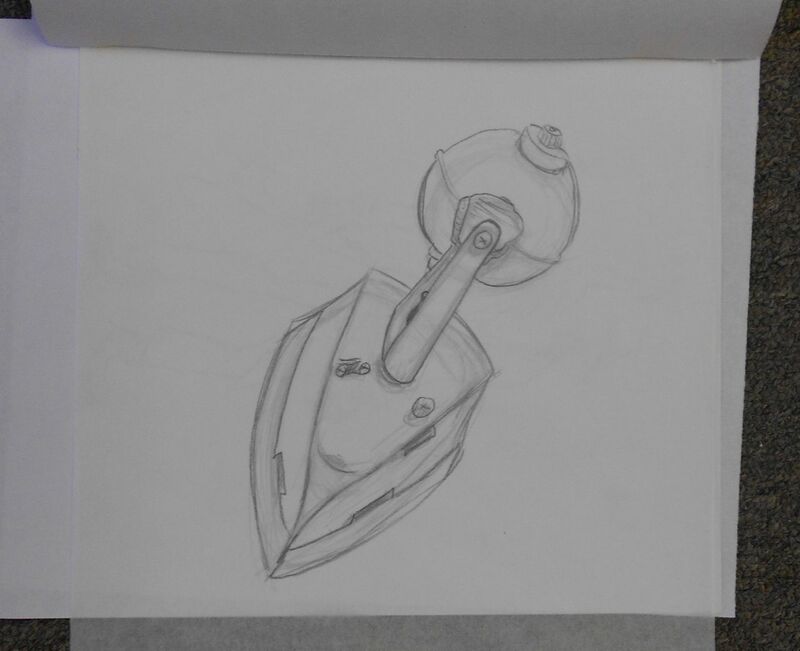 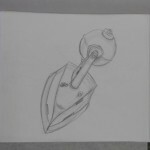 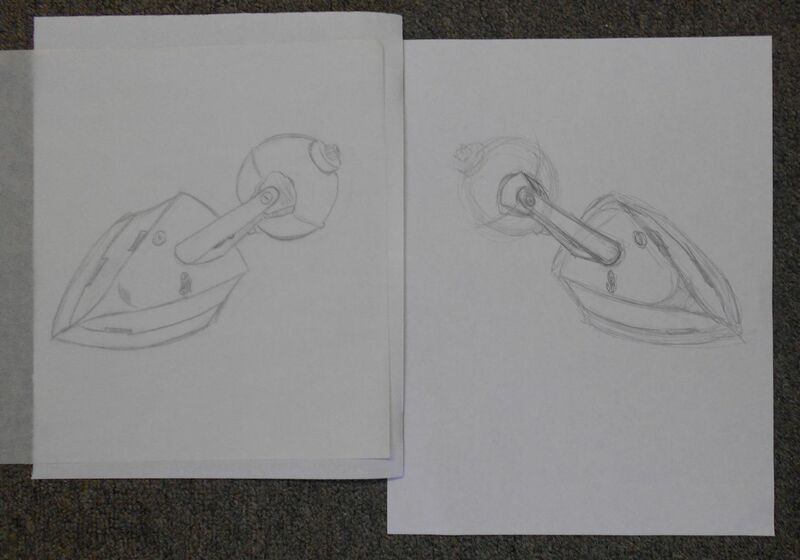 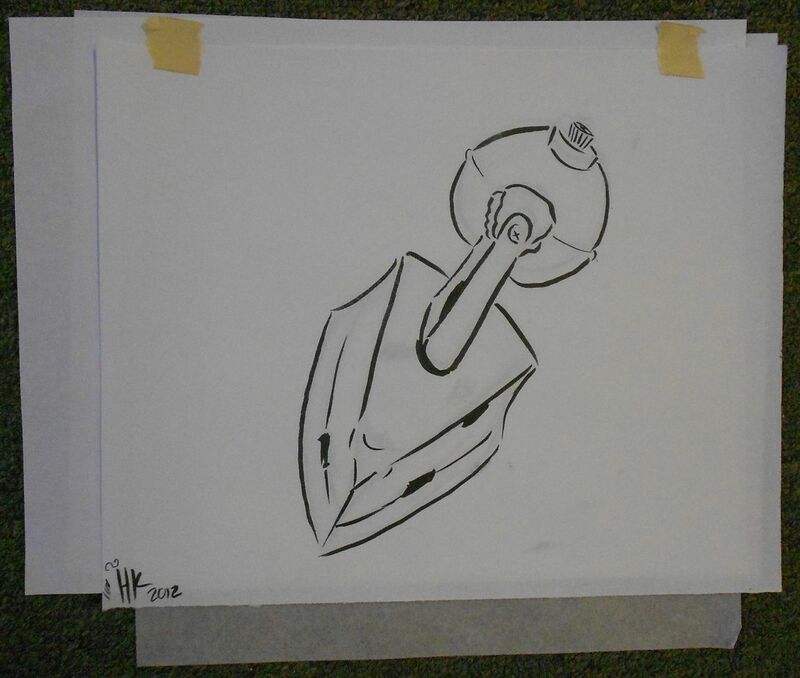 The above drawings show Helen’s stages of sketching an antique iron (top) from observation. Starting with a rough pencil sketch she refined the line work with a tracing paper overlay before finishing with a ink line illustration of the iron on a layout paper overlay. 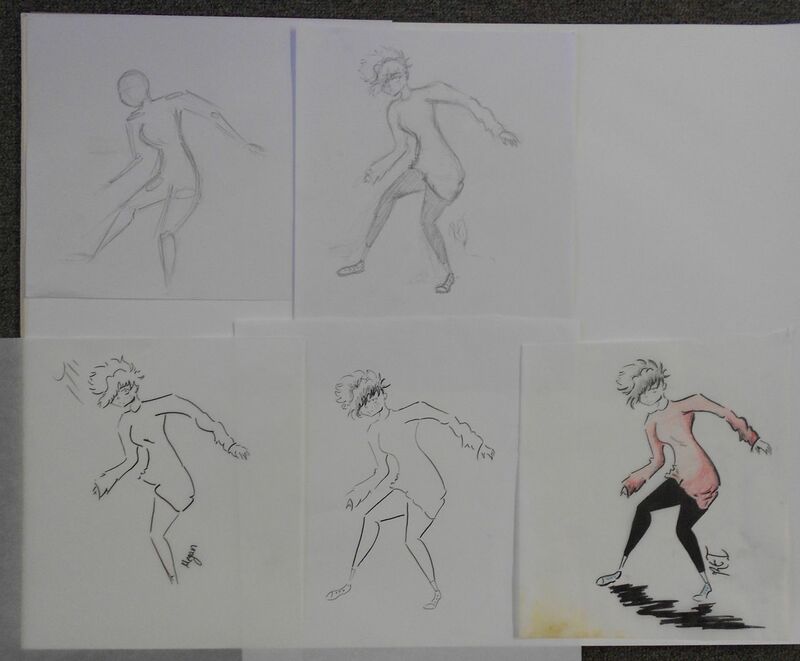 Also shown are the stages of refinement of her character while using overlay sketches. 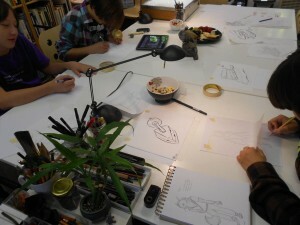 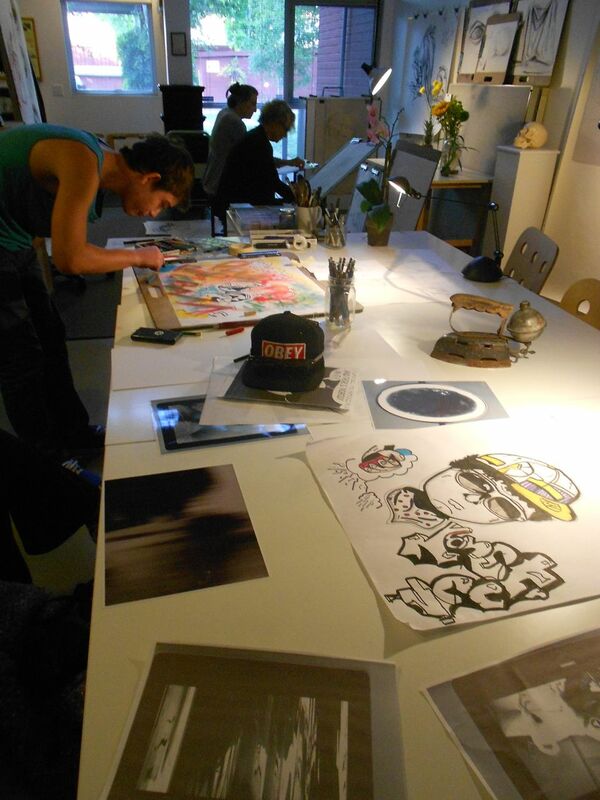 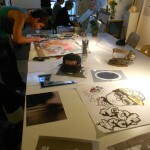 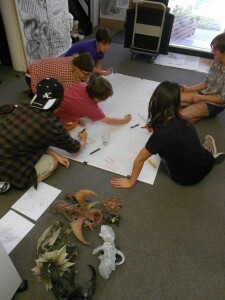 Our summer character design session was a very high-energy exchange of ideas and good creative times! 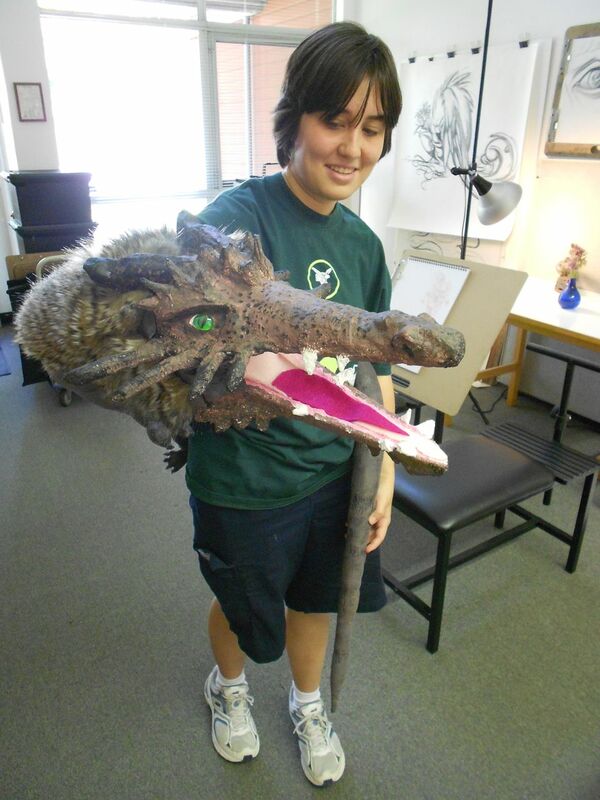 Helen and her mom brought in a totally fantastic dragon puppet that she made. 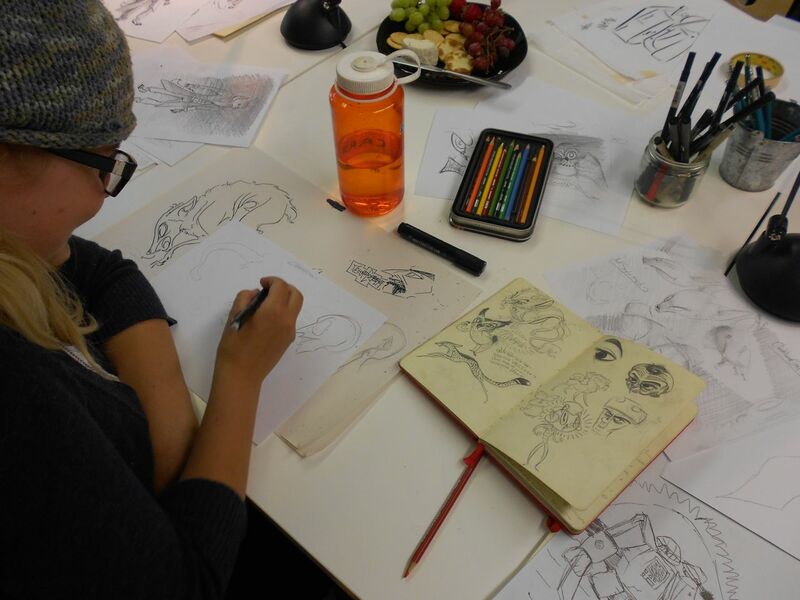 Our multi-talented sketchers are always creating cool stuff! Our youngest student, Gio, brought in a box of dragons that his parents scored at a garage sale. 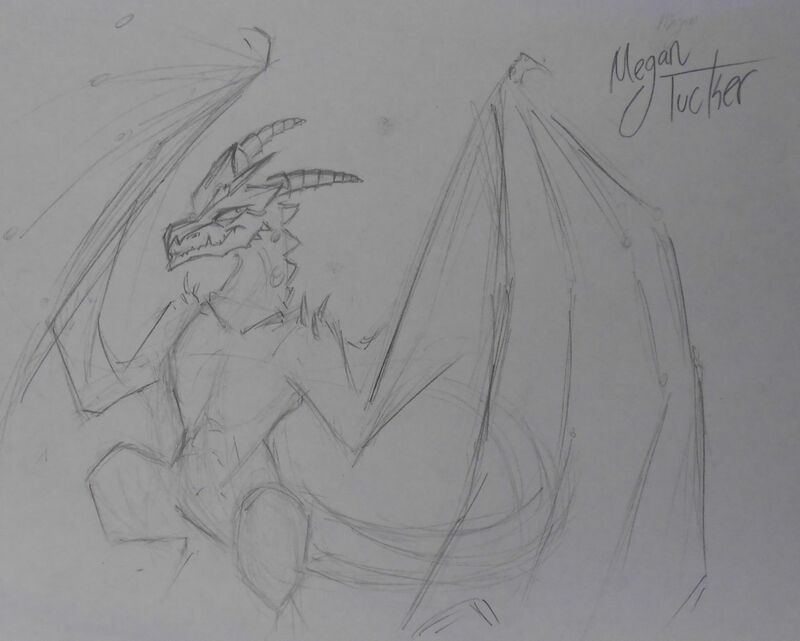 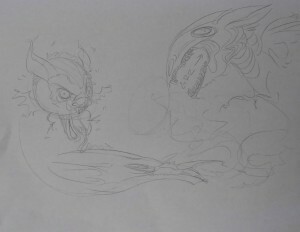 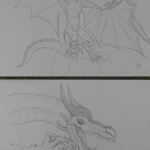 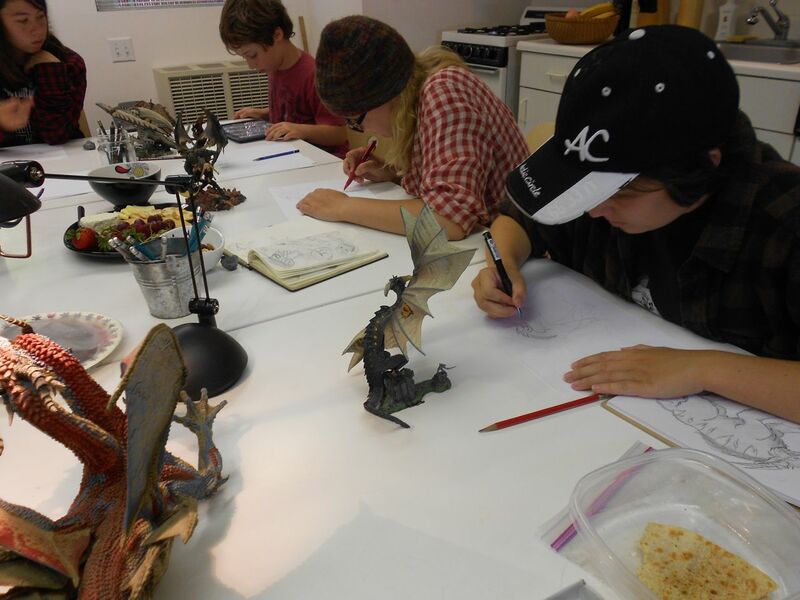 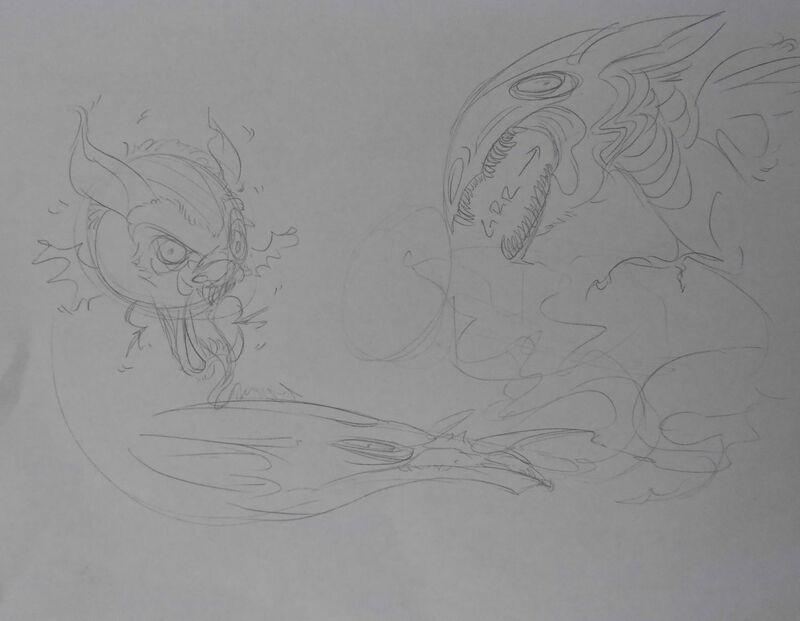 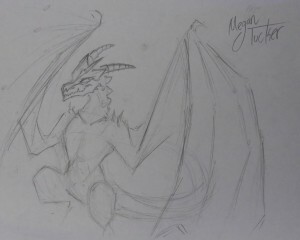 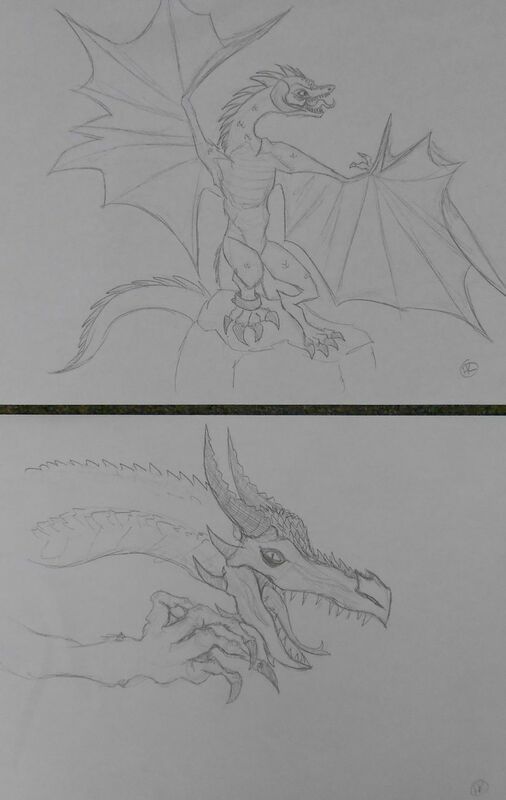 So we threw down an impromptu dragon drawing session for our last class of the summer, shown in the above pics. 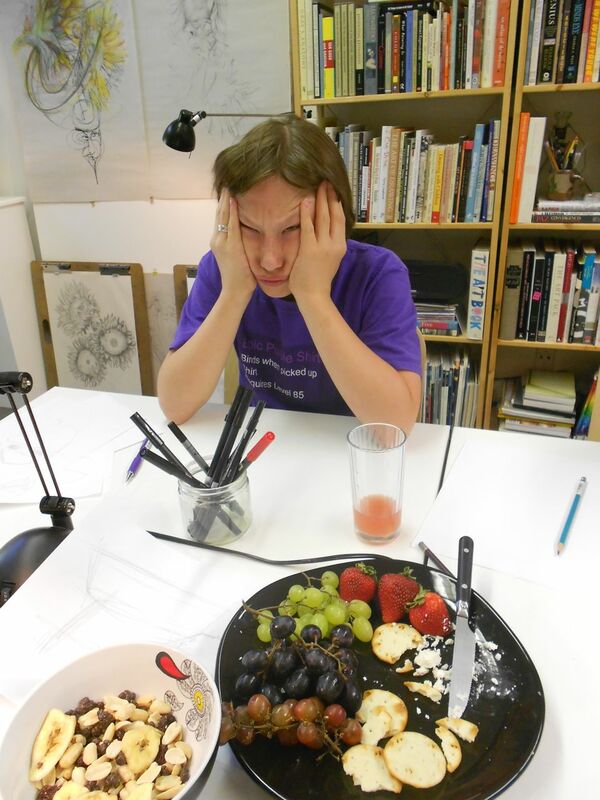 Youth sketcher portrait: Come on, you can hold that serious game face for 5 seconds… don’t think so! 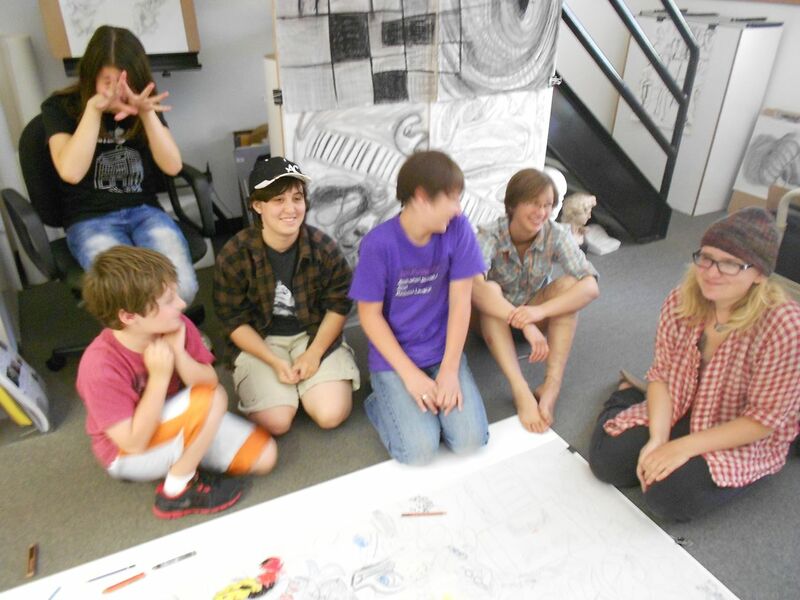 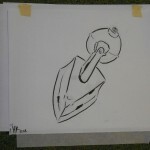 Previous PostGetting Abstract: Experimental Drawing Workshop For AdultsNext PostSI Currents: Drawing in Vietnam; Scribbles Institute and MAH; Save the Frogs!